The boy wakes up in the water, or is it the sky? All he knows is that he’s alone and only the moon seems to be speaking to him. Because it doesn’t seem like the Man in the Moon would lead him astray, he takes on faith that his name is Jack, but that’s not a lot of information to base an entire existence on. No more answers are forthcoming after the boy discovers that everywhere he goes shimmering frost trails in his wake, even up in the air as he flies. The tradeoff of such magical powers is that he is invisible to the human eye: He’s a ghost amongst the living, watching as children enjoy the fruits of his labours, like snow days and practical jokes like blizzards on Easter Sunday. With no one to see or acknowledge his work, life is a lonely puzzle for Jack Frost, who has no idea why he exists or any other life before the day his eyes opened under the moon. 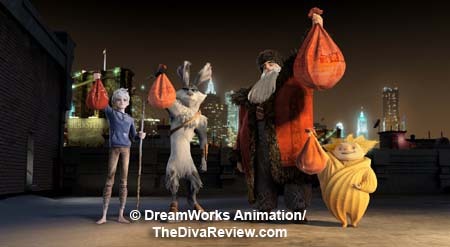 At the top of the category of much more famous mythical beings is everybody’s favourite toy delivery man, Santa Claus. 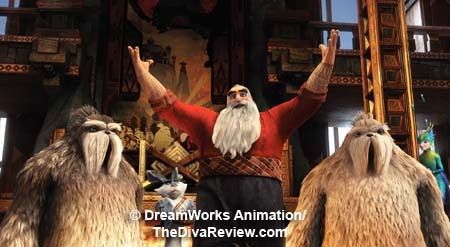 At the top of the North Pole, amidst tinyl elves and giant yetis, the exuberant Cossack not only is in constant preparation for his big day of the year, but is also the keeper of a huge globe full of millions of lights that represent a child’s innocent belief in Santa and his ilk. That ilk would consist of the beautiful, birdlike Tooth Fairy, the silent and sleepy Sandman and the obstreperous Aussie leporidae called Bunnymund, whose pugnacious response to any insult to his Easter Egg-painting skills (or resemblance to a kangaroo) is usually a boomerang to the head. Chosen by the Man in the Moon, the quartet represents the best of children’s hopes and dreams. They are called Guardians, protectors of the sense of wonder that makes kids able to believe that the bicuspid placed under their pillow will surely be transformed into two bits come morning light. This faith is precious and when lights start going out across the globe en masse, it’s cause for substantial alarm, even more so when they realise it’s due to an old enemy from the past. 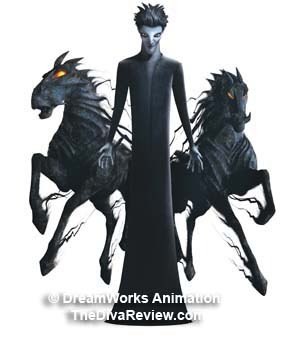 The dark spectre, Pitch, has escaped from confinement and is determined to douse every single light on the globe, leaving children without hope and in fear of the dark, making the world the Boogeyman’s oyster. All four good guys are gathered to plan their defence when they get another surprise; the Man in the Moon has chosen a fifth member to join their ranks. 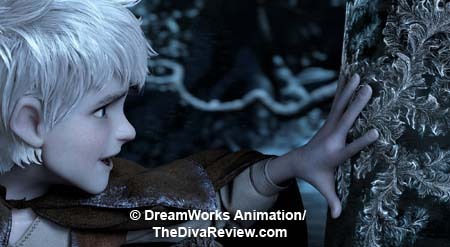 The trickster Jack Frost has been given the honour of defending the innocence of childhood, the only problem is Jack isn’t so easy to convince. It’s not like anyone has ever believed in him before; despite all his wonders he’s always been second-string in the world of legends, why should he make an effort now? 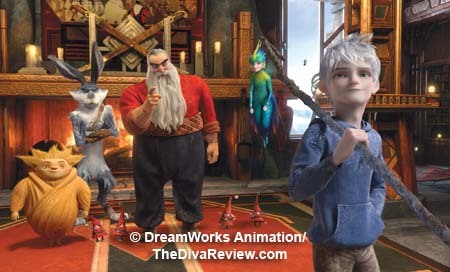 An eye-opening trip to Santa’s Workshop isn’t quite enough to make the eternal loner change his ways and it’s only after Santa -- or North, as he’s called -- challenges him to find what is really at the core of Jack Frost, does the snowboy decide to come along for the ride. While Jack is being persuaded, Pitch has wasted no time galvanising his forces and a battle between the nightmares created by dark spirit and the good guys overwhelms and finds the Guardians down one member. Not wasting a moment, next on Pitch’s agenda is the invasion of Tooth Fairy Island, where his team of bad dreams kidnaps all the little fairies who actually perform the endless task of collecting the world’s milk teeth and leaving cash endowments in their place. As kids around the world wake up to find only the discarded choppers under their pillows, lights across the globe dim, and as their belief in the Tooth Fairy evaporates, so does she; becoming invisible to the eyes of children and therefore weak and powerless. Attempting to rally in time for the next big holiday, the crew heads down the rabbit hole to the Easter Bunny’s underground warren. Sure that their hard work painting and placing the brightly coloured eggs will shore up the globe lights until they can catch Pitch, no one is ready for Jack’s unintended betrayal. He lets the Guardians down by falling into a fairly obvious trap set by Pitch, who plays upon Jack’s realisation that somewhere in the billions of teeth collected by the Tooth Fairy is the secret to his true identity. Jack was meant to be looking after the eggs, helping them to get to the surface in time for Easter morning, which thanks to Pitch, never happens. Like the Tooth Fairy, Bunnymund finds himself incorporeal and without power when kids wake up to no Easter fun. Pitch is winning, a point he makes to the dejected Jack, now that he’s run away from the disappointment of his former allies to be alone again. 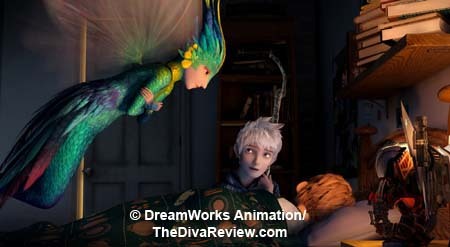 Since Jack really isn’t in the joining mood and the lure of his real identity doesn’t move him after the damage he’s done, Pitch uses a hostage, the adorable Baby-Tooth, one of the Tooth Fairy’s wee assistants to force Jack to give up his staff, his weapon of power. Jack lays abandoned and powerless in a frozen ravine until the sweet little fairy uses her magic to show the frosty boy who he was and why it’s so important that he joins the fight against the evil Pitch for the hopes of the world’s children. Lovely stuff. 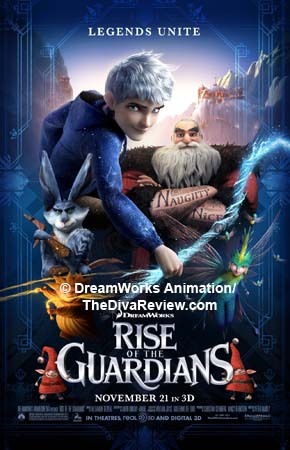 Rise of the Guardians is one of those cartoons that’s got a bit for everybody in it; the obvious allure of cartoon hijinks for the kiddies, an intelligent and funny script to keep the grown-ups entertained and lots of action for everybody. 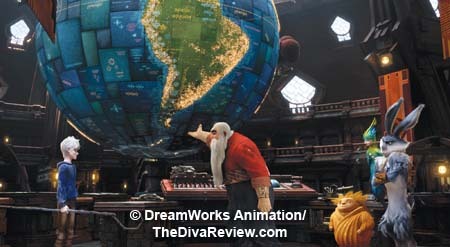 It’s also a gorgeous looking thing, with rich backgrounds and beautiful fantasy worlds like Santa’s Workshop and Tooth Fairy Island, as well as very cool (if occasionally familiar-looking) character designs. 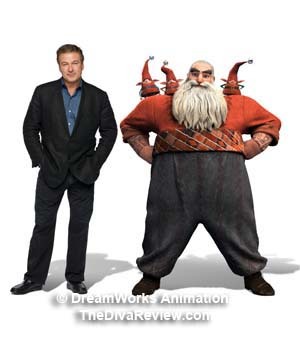 The great voice acting is some of the best in a recent US production with Alec Baldwin’s North, a full-throated, life-loving Cossack who truly views the world with the wonder of a child, and he’s got the matryoshka doll to prove it. 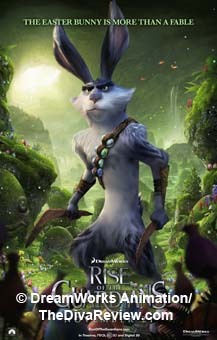 Hugh Jackman is excellent as the high-strung, decidedly uncuddly, macho Bunnymund. In homage to Jackman’s Broadway leanings, the rabbit is even given a jazz hands moment. 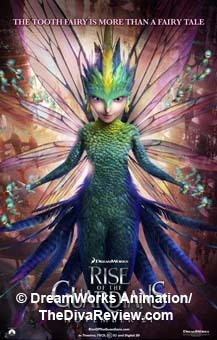 Good as those two are, the big standouts are Jude Law doing his best work for ages providing the dulcet, arch tones of the mysterious villain, Pitch, and Isla Fisher as the flitty, funny bird of paradise that is the Tooth Fairy. 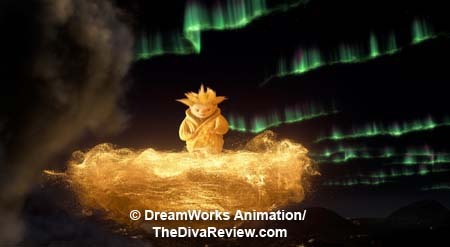 There’s a bit of edginess to the production as well; for one instance the design of North, a.k.a. 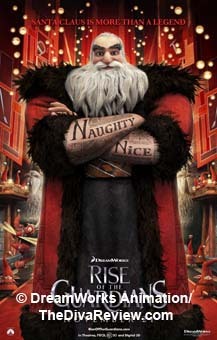 Santa Claus, who is imagined here as a Russian gangster, with full-arm tattoos, including the words “naughty” written down one arm and “nice” up the other. There’s the stunning, art deco burst of colour that is Tooth; her delicate structure looks almost too fragile to hold up all her coloured feathers and hummingbird-quick motion. 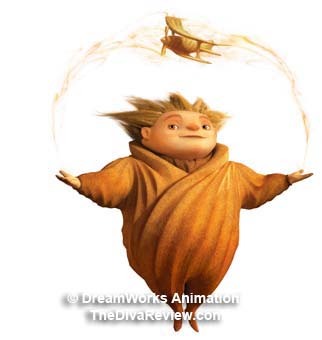 Likewise glorious is the movement of the deceptively simply-drawn Sandman, a chubby, conversation-challenged, sleepytime cherub with a definite tough side to him. Sandy’s sequences, where golden sand illustrates the dreams of the children he gently lulls to bed each night are really beautiful. The amorphous nature of the sand also makes for some neat weapons during the exciting battles with Pitch, some of which get pretty intense for a Dreamworks family film. 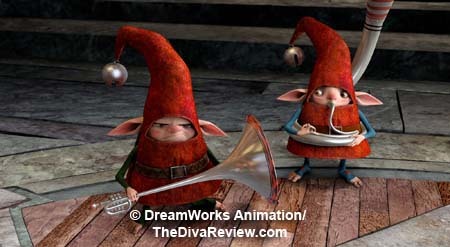 Because it seems every new, big-budget US animated film must have some version of Despicable Me’s Minions, here we have the elves; teensy, red walking traffic cones with silly faces somewhere in the center. They’re not used as egregiously as the Minions, but do provide the more slapstick end of the comedy. Much funnier are Santa’s less-troublesome helpers, the Chewbacca-like yetis who threaten to steal the picture with their unintelligible vocabulary and clear frustration at Santa’s workshop whimsies. Bunnymund’s eggheaded sentries are also a laugh with their ever- revolving faces that clearly inspired the Easter Island statues. 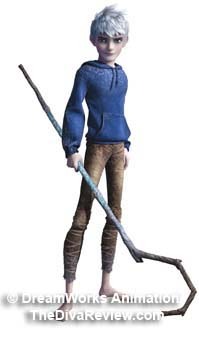 Rise of the Guardians steers away from author/illustrator William Joyce’s original design for Pitch, almost carbon-copying fantasy scion Neil Gaiman’s most famous creation, Dream from The Sandman comic book series (More ironic for the presence of the excellent “Sandy”). 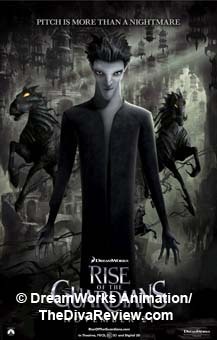 In an undeniable similarity, Pitch is a long, lean drape of black with a pale, high-cheekboned (slightly Voldemortish) face and a shock of messy raven hair. 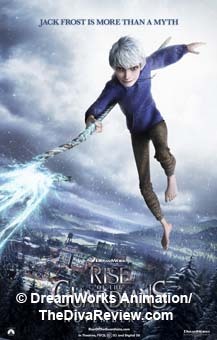 The design of Jack Frost might be based on a lesser known influence; Toshiro Hitsugaya, a famous character from the extremely popular Japanese manga and anime called Bleach. Like Jack Frost, the silver-haired, blue-eyed, centuries-old man-child, Hitsugaya, is a creature of legend that can control frost and ice. 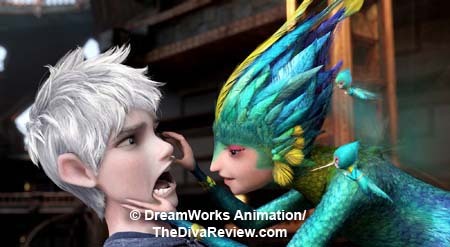 (In another Hitsugaya similarity, Jack Frost has a following of fine feathered fangirls fluttering in his wake.) That said, if you’re going to choose homages, those aren’t bad ones. 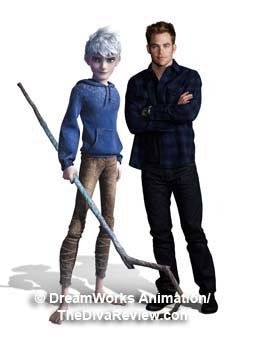 Rise of the Guardians is one of those cool cartoons that entertains on all levels for all members of the family. 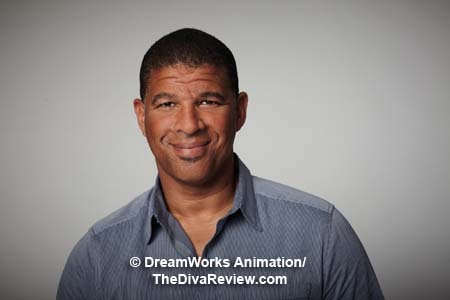 It’s lovely to look at, fun to watch and delivers a sweet message of hope and the importance of embracing the true magic of childhood, which is too easily lost in today’s often harsh and cynical world.